At the 19 September Network lunch there was a brief discussion on the difficulty some NZ exporters face when dealing with requests for bribes and facilitation payments in many part of the Pacific. We are aware that some countries have legislation in place to discourage such requests. Canada for example has a Corruption of Foreign Officials Act which highlights the need for exporters operating in high risk environments overseas to develop effective anti corruption compliance programmes and strong ethical corporate cultures. The USA, UK and Australia also have similar Acts in place. 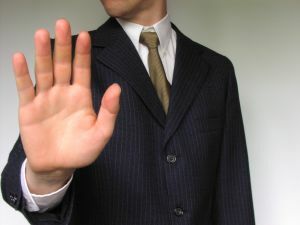 The OECD has guidelines that assist exporters to counter requests for bribes. New Zealand apparently has similar provisions in place. Recent reports from PNG allege that in the last 6 years close to $NZ500 million has been siphoned from PNG’s public coffers by fraudulent practices including bribes in order to obtain Government work. A recent report from PNG’s anti corruption watchdog taskforce claims that 40% of PNG’s public funds are lost to corruption annually. Reports on the level of corruption in PNG have been gagged by the courts system but are subject to injunctions which eventually might see some of these reports eventually come to the attention of the public. Perhaps it is shenanigans like this that has caused the incoming Australian Government to state that it plans to drastically pare back its foreign aid programme. The question is – should the Network develop guidelines for exporters to follow if exposed to bribes when doing business? Original generation time 1.3329 seconds. Cache Loaded in: 0.0591 seconds.